After spending a couple of nights in Santiago, Shuchi and I decided to visit Easter Island, Chile also known as Rapa Nui (Spanish - Isla de Pascua). 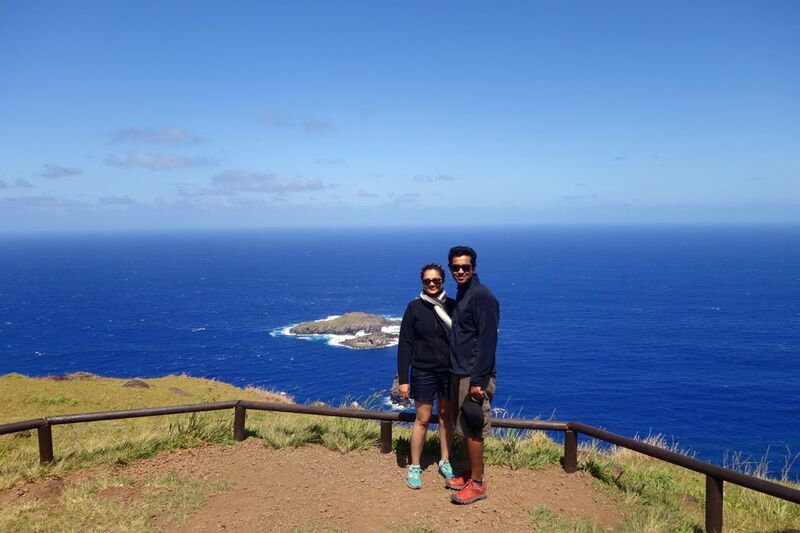 We were super excited to see this place as it is one of the most isolated islands in the world and famous for its Moaï statues. 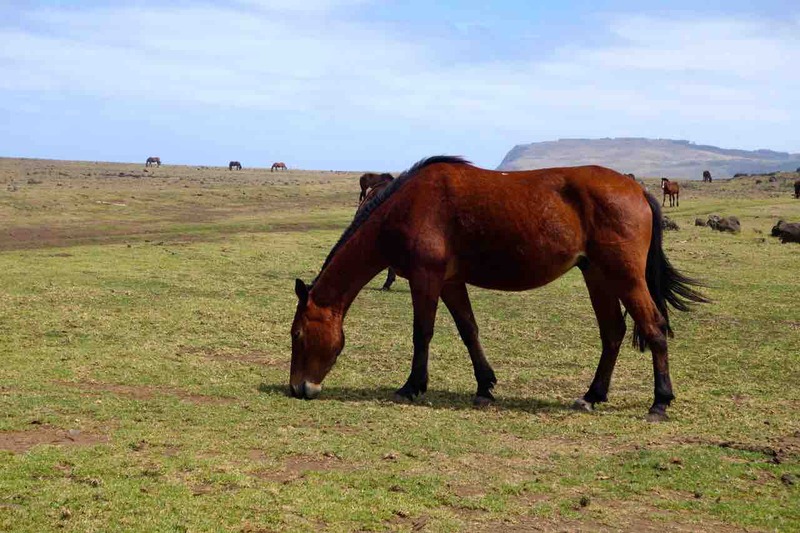 This place is around 2300 miles (~3700 Km) from Santiago, Chile. There are not many options to reach here – LAN Airlines has daily flights from Santiago and a weekly flight from Papeete, French Polynesia. 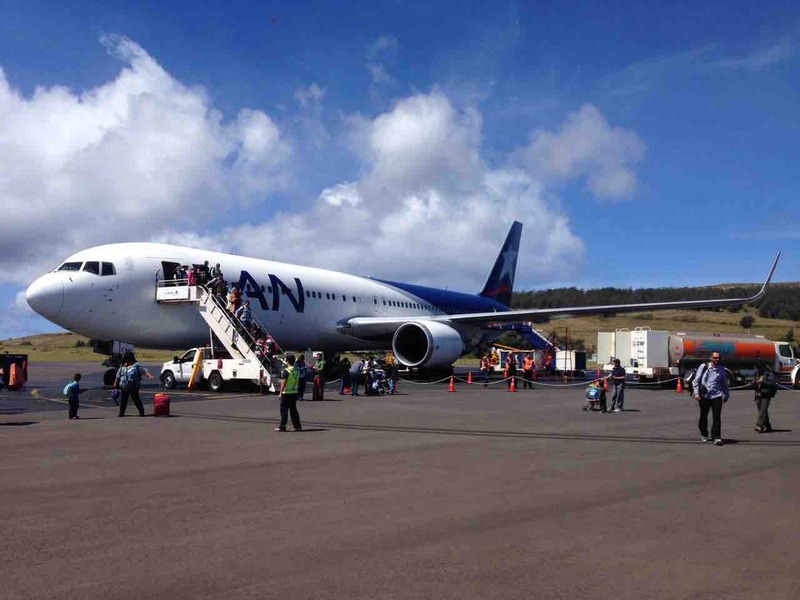 Flight from Santiago to Easter Islands takes around 6 hours. There is no competition for fares so return flight from Santiago can cost anywhere from $300-$1200. 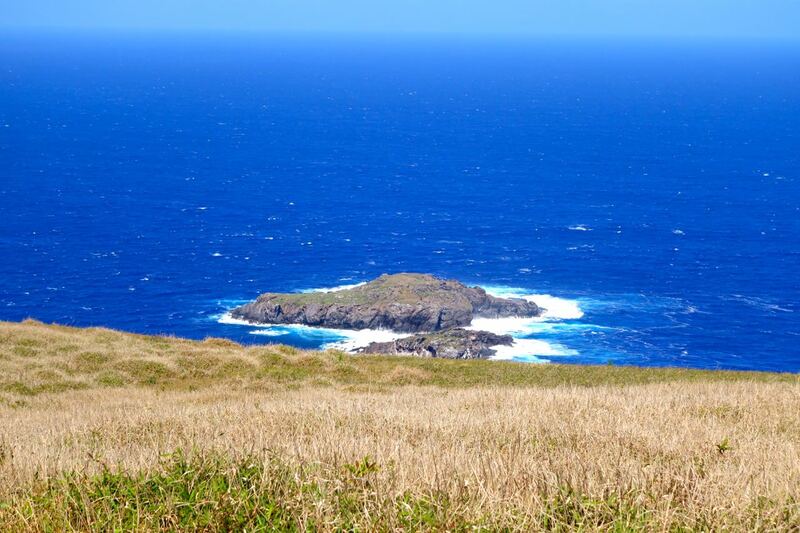 As we approached the island we saw its lush green landscapes with sapphire blue coastlines from the flight. Easter Island airport is very basic and was once an abort landing station for US space shuttles. 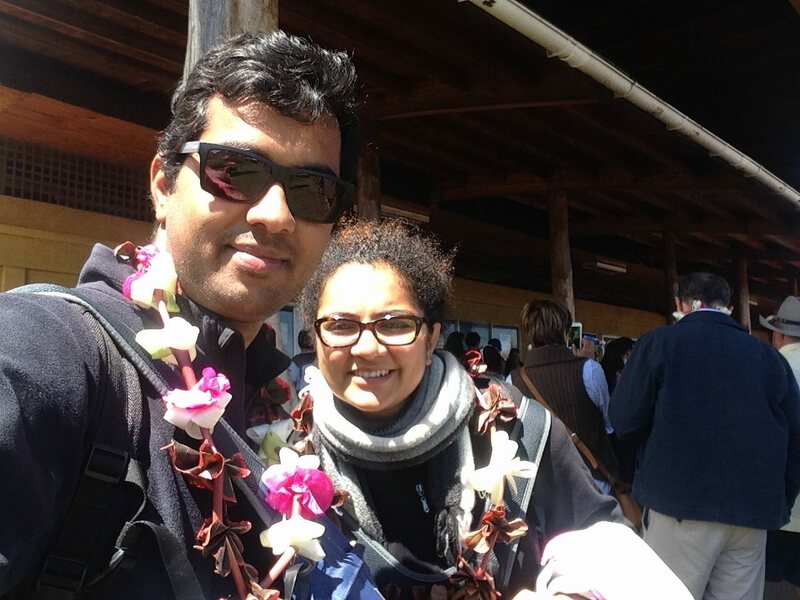 Once we got off at the airport, we were greeted with garlands made of native flowers. We then headed for our hotel that we booked for a night. 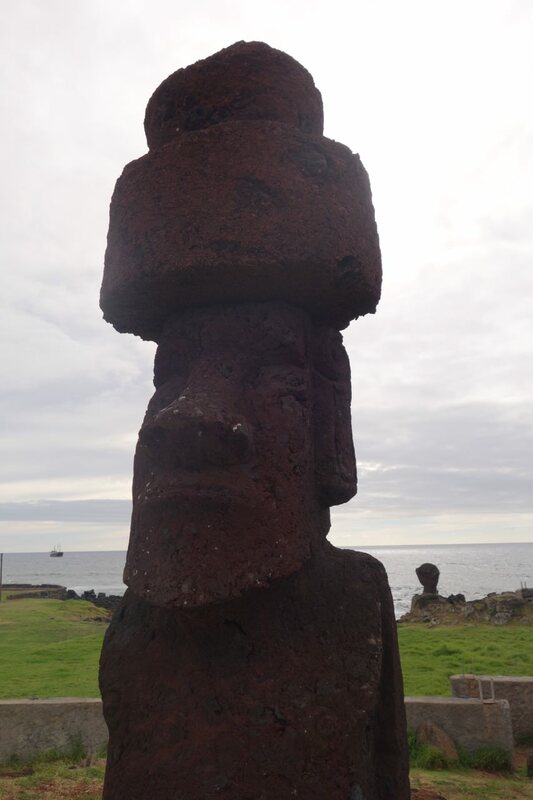 After having lunch we walked around the coastline and visited Tahai – our first sight of the moai figures. 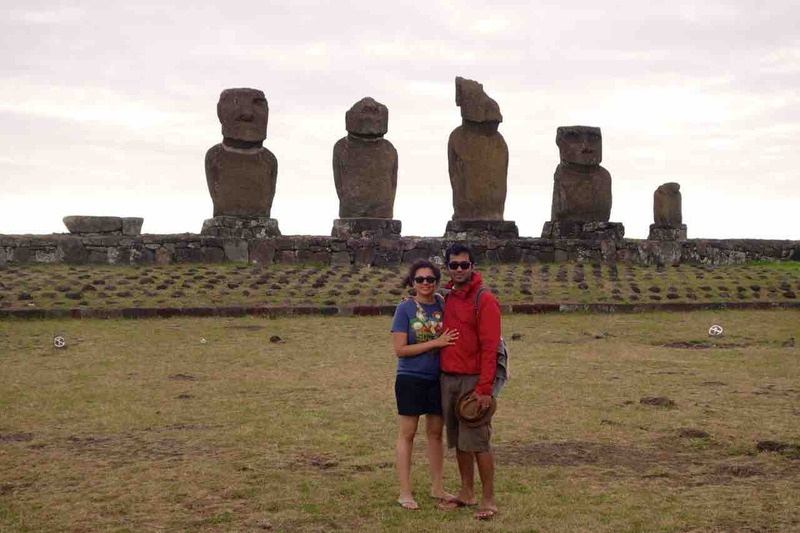 Moai's are huge statues carved out of rocks by Rapa Nui people. These statues are the symbols of sacred spirit of their ancestors. 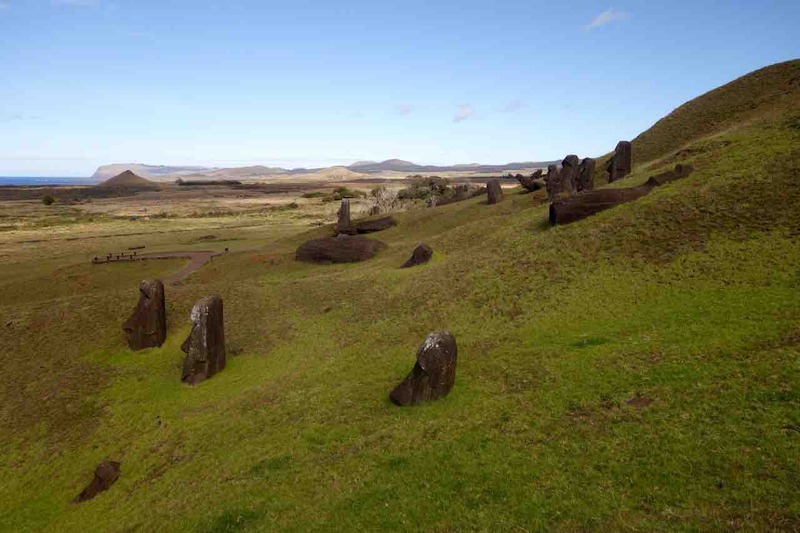 Tahai is a ceremonial complex which is a restored site. Tourism is the main source of revenue for this island – which means most things here are expensive. Hotel stay in very basic hotels can cost you $80 - $300 per night. January – March are considered to be the busiest season, fortunately, we visited in the shoulder season. 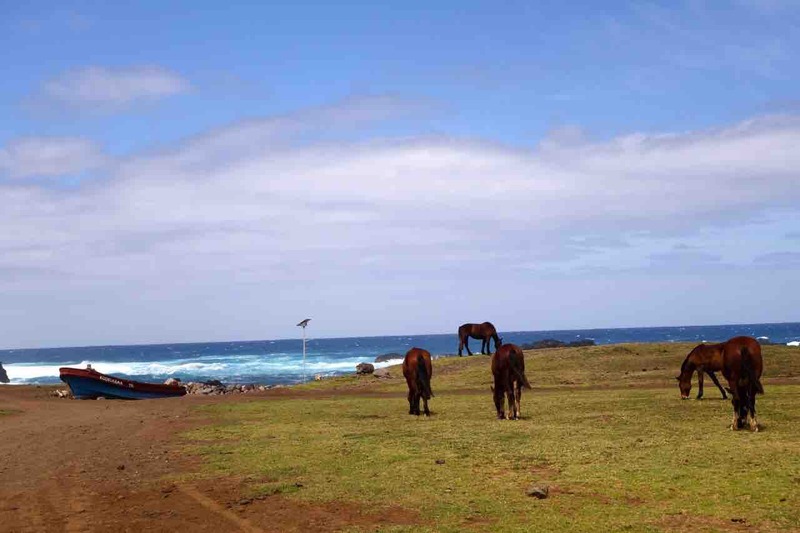 Hanga Roa is the only town in island – which is mostly the center point for hotels and restaurants. After our first night stay, we moved to a cabana (small house with kitchen) so we can cook our own food. 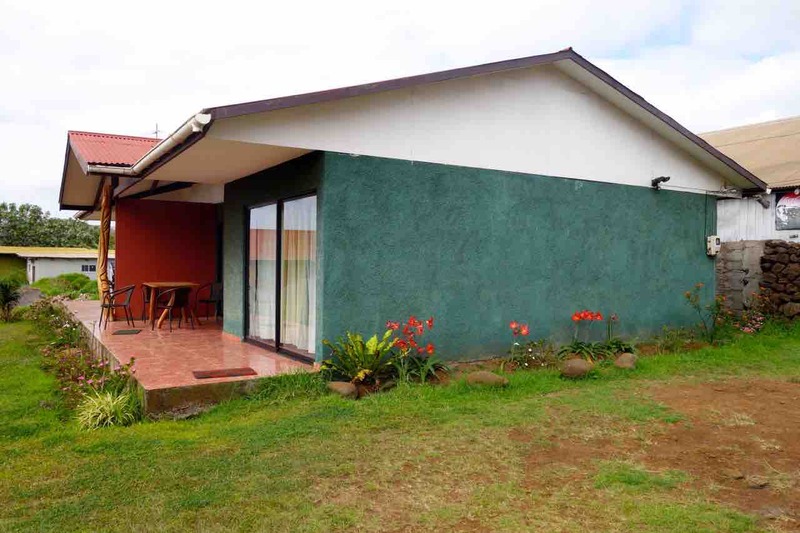 Cabanas are an economical way to stay on the island – you very easily get groceries from supermarkets in Hanga Roa. Every morning there are trucks along the main road that sells fresh vegetables and fruits. We did most of our shopping there, as the food was fresh and much cheaper from the super market. 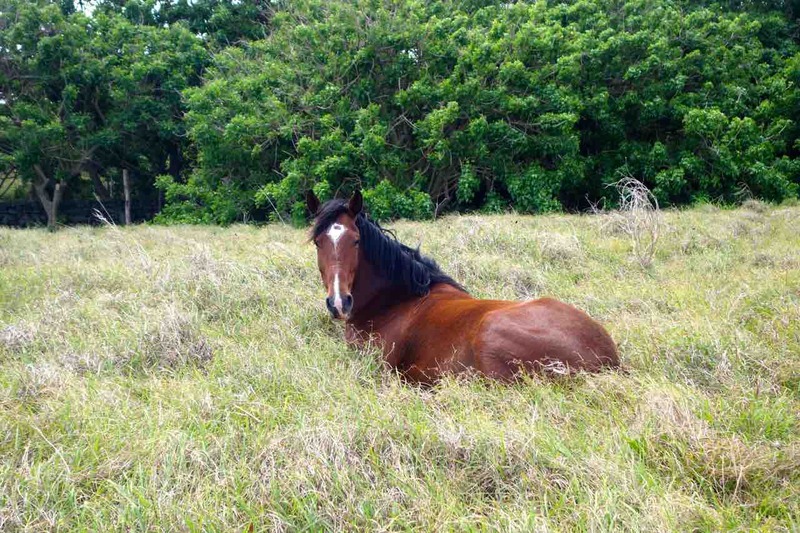 One can take planned tours or rent a car/bike to explore the island. 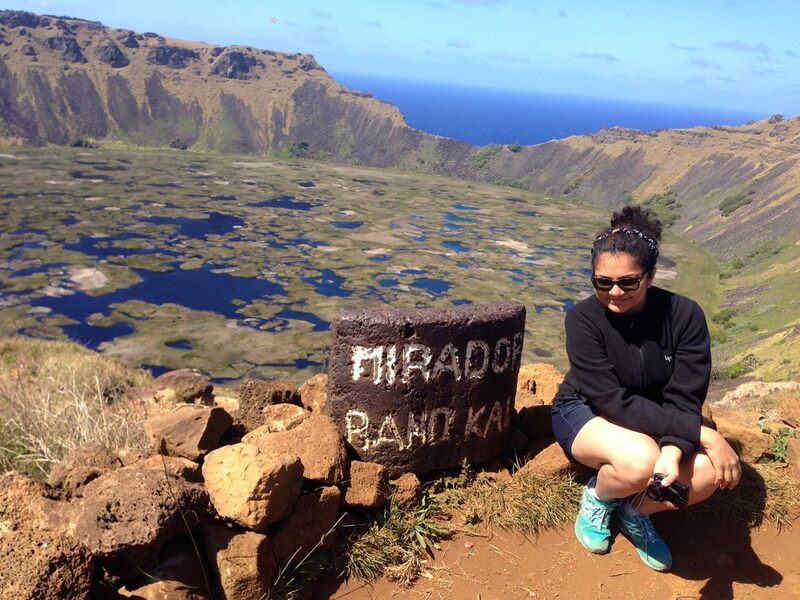 We took a mix of both – the first day we booked tour to get a basic idea of the island, history, and culture. Later we rented a car and spent time as per our leisure. 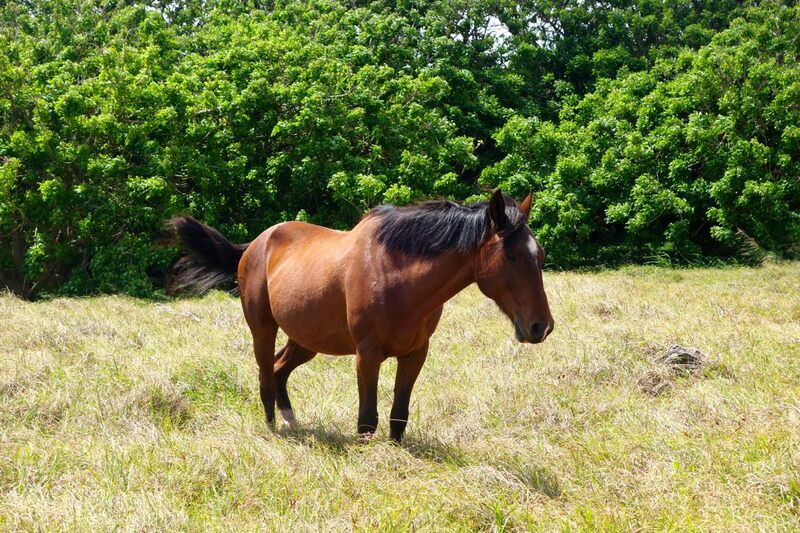 We had to be very careful driving at night as there are no street lights plus this area is full of wild horses. On our first day, we booked a full day tour to see the eastern part of the island. We got up around 7 in the morning and were surprised that it was pitch dark outside. Sunrise usually happens around 8 am on the island. 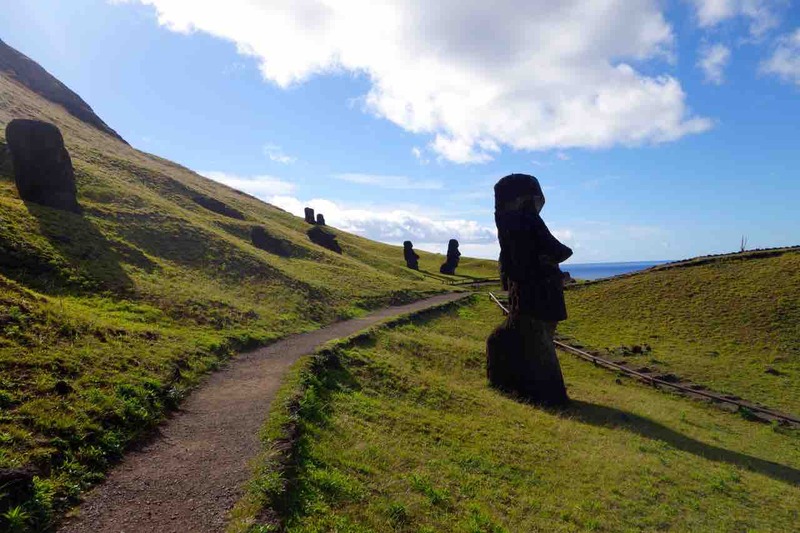 The first site we visited was Rano Raraku – the quarry where most of the Maoï figures in the island were made until early 18th century. This place is a volcanic crater formed of consolidated volcanic ash on the lower slopes of Rapa Nui National Park. Next, we went to Ahu Tongoriki – its the largest ahu (shrine) on the island. 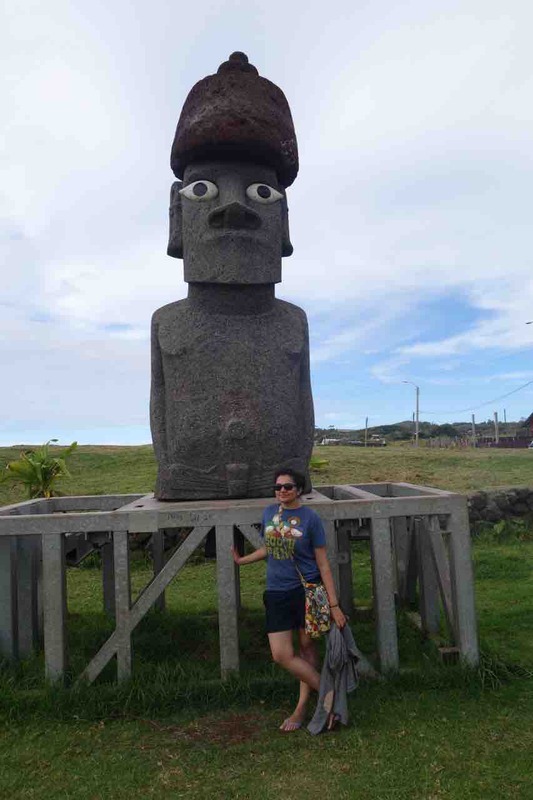 Most of the statues here were toppled because of internal conflict among island natives in early 18th century. 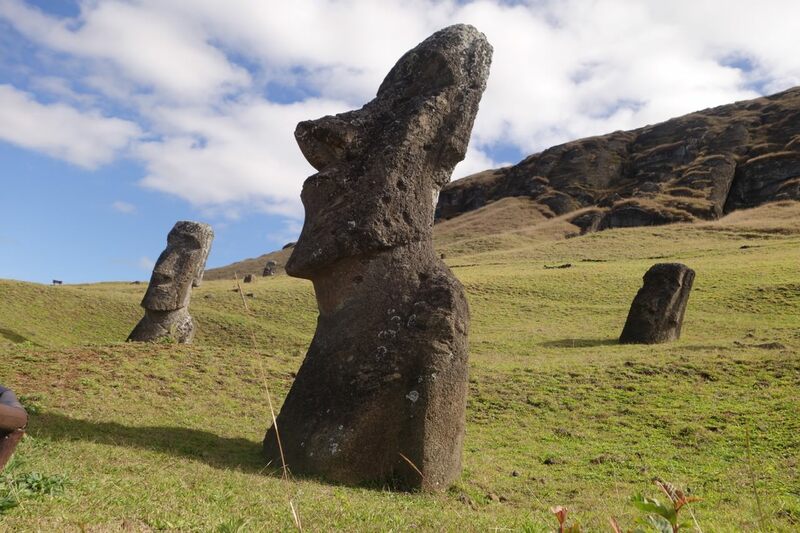 Now, this site has 15 massive statues which were restored by a joint venture of Japanese and Chilean government. 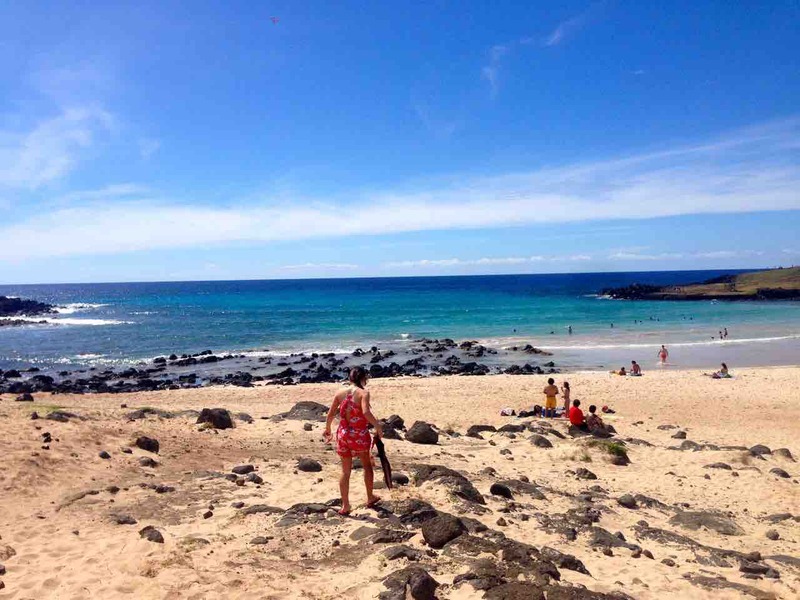 We ended our day visiting the Anakena beach – pristine white sand beach with Maoï statues. 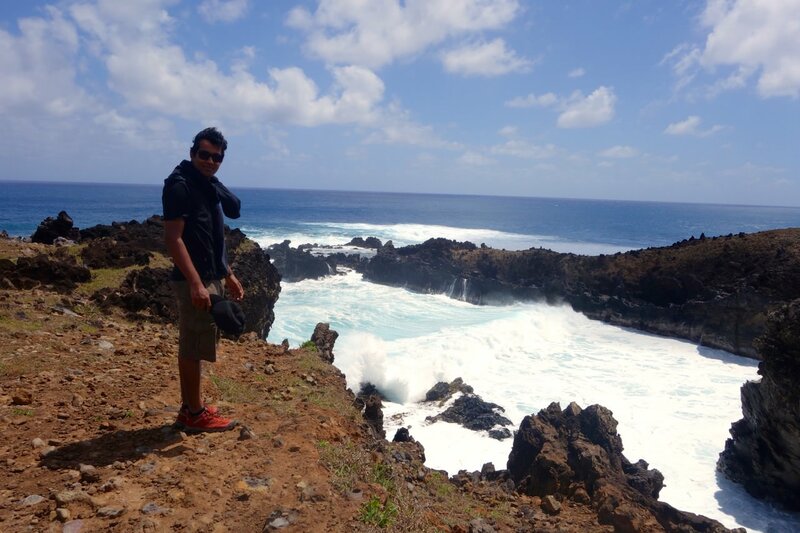 It is the only sandy beach on the rocky coastline of easter island. 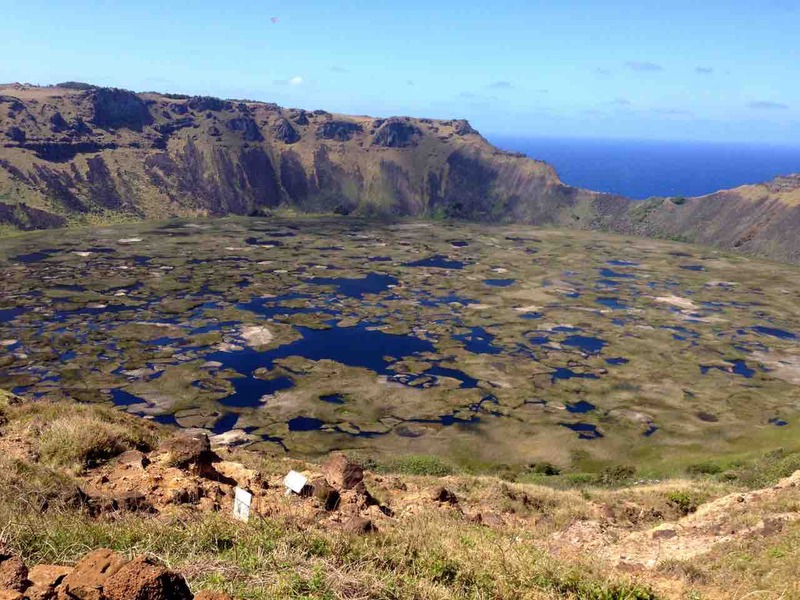 Next day we visited Orongo – sacred village of the island. 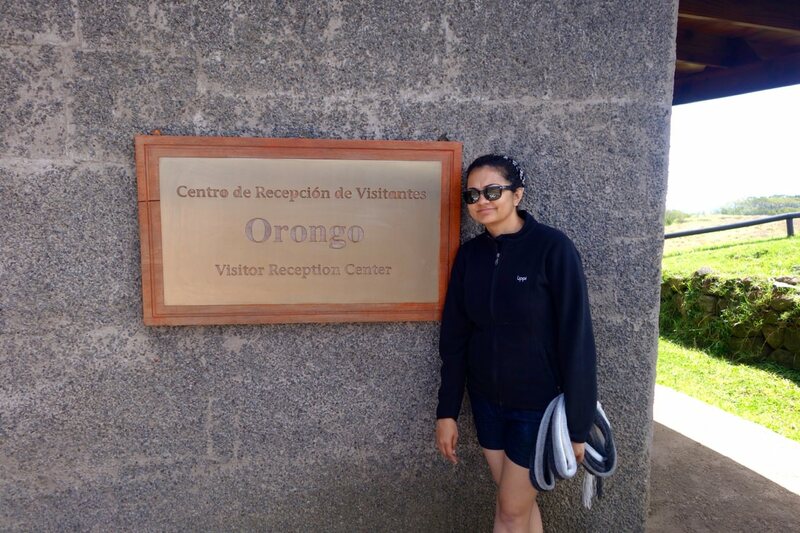 We stopped at multiple scenic spots on our way to Orongo. 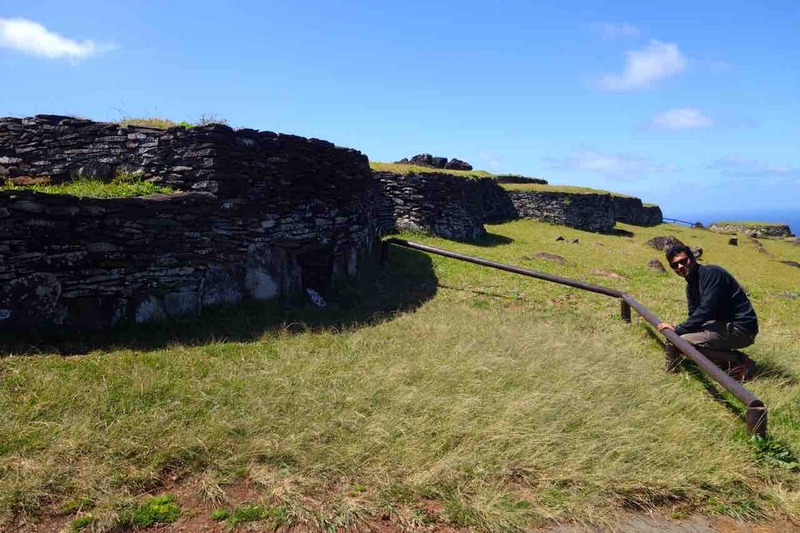 This place is a stone village and ceremonial center on the southern tip of the island. It was also the center of Birdman cult which hosted an annual race to bring the first egg of bird from the islet of Motu Nui. The site has numerous petroglyphs, mainly of Tangata Manu known as Birdman. 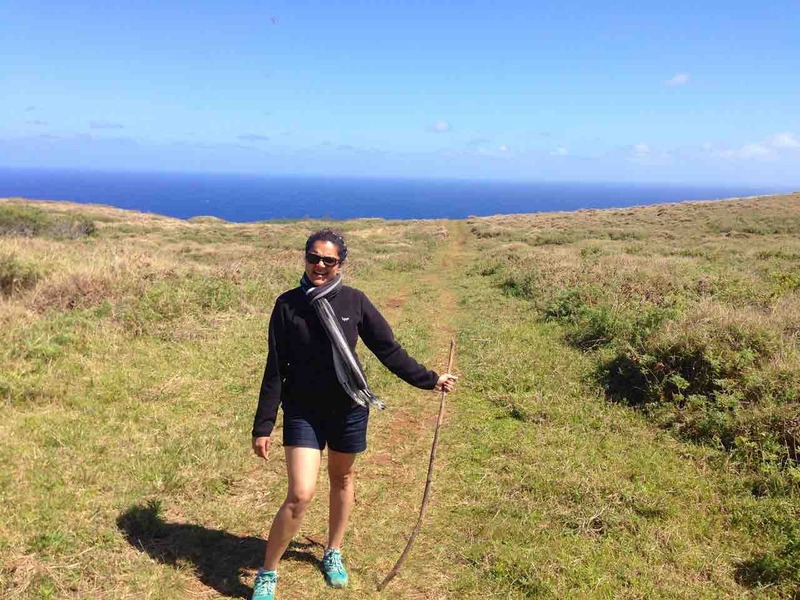 We took next couple of days slow and visited the island at our own pace - chilled and relaxed most of the time watching awesome sunsets along the coastline of Easter Island. 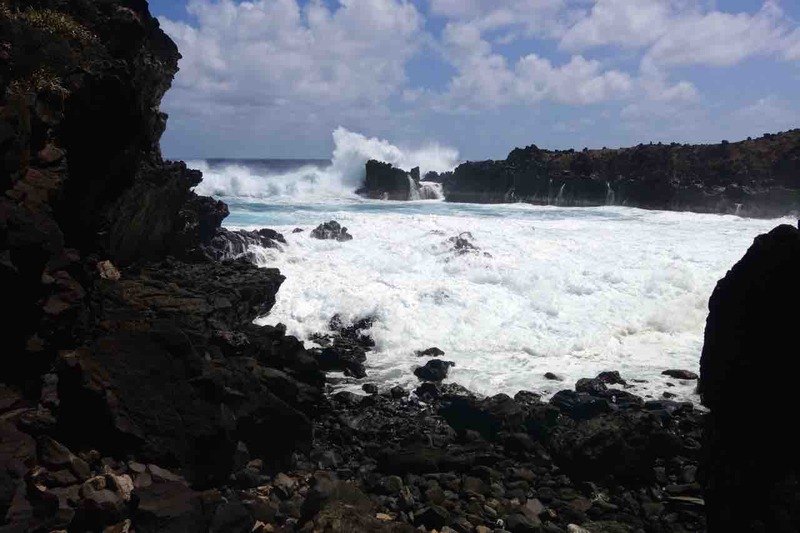 Here are some of the pictures we took hiking, exploring the island. 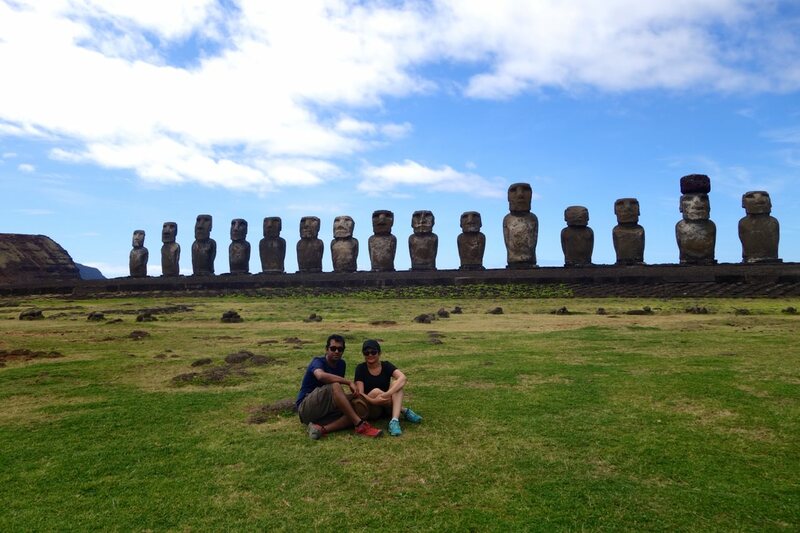 Shuchi and I had a great time in Easter Island. 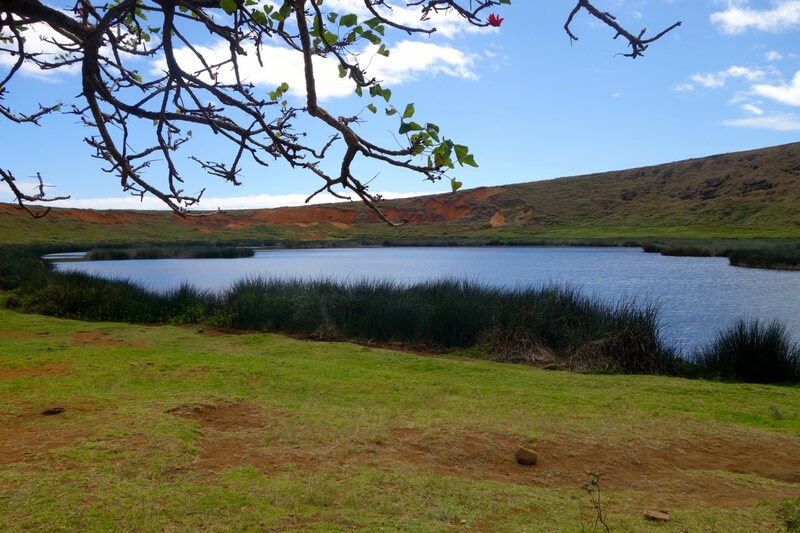 We highly recommend visiting Easter Island as it's an amazing place where you learn about the history of Rapa Nui, enjoy good food and have a relaxing vacation away from the usual tourist crowd.